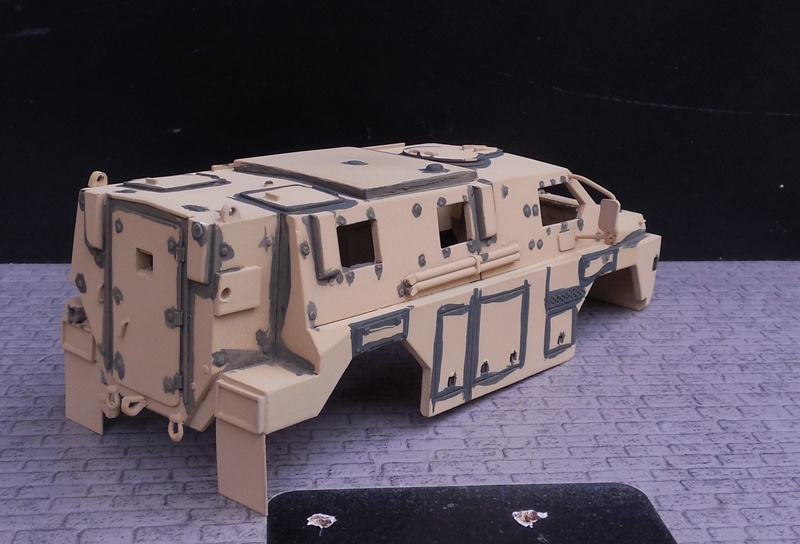 In this "Making of a ...Bushmaster Troop carrier" he shows how this custom model is been achieved. Ciprian Ursulescu has shared his building skills through its construction photos with little notes from Carol Westerhoff[abc]. 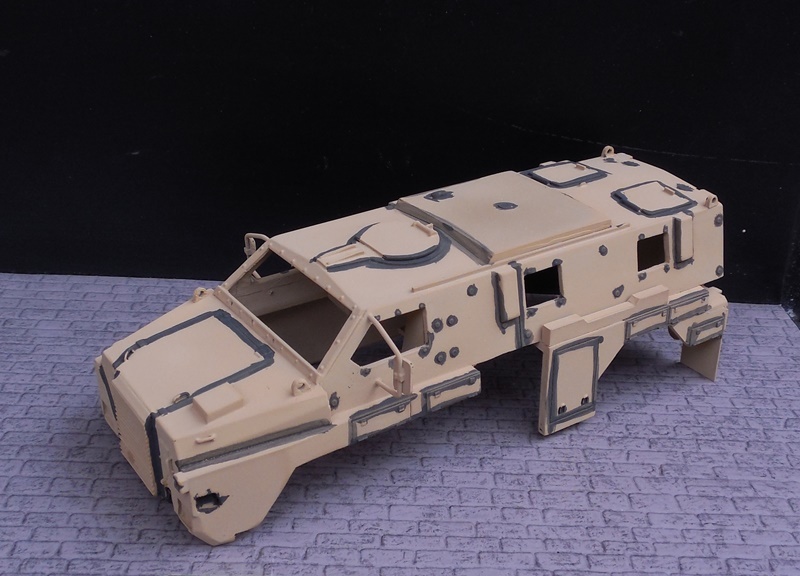 Gradually it shows you the making of a unique model of the Bushmaster Troop carrier. Old-fashioned craftsmanship is required to make the Proper resin parts from the necessary hand made molds. The pictures below show a small piece of the hard work that actually is needed to create a fully handmade custom resin scale model. Normally top secret but this time I can share a glimpse of the skills of this artisan. The first pictures of the pre production scale model of the Bushmaster that is built and composed of the molded resin parts decanted from the molds that are made based on the prototype. On the pre production scale model Ciprian first applied a layer of primer followed by the pre-shaden of the model. Following are the three different camouflage colors according to prescribed patterns applied. Carol Westerhoff[abc]will explain in depth, when building his Bushmaster kit, the various techniques that are used to provide a military vehicle of the appropriate camouflage colors. The pre production scale model of the Bushmaster Troop carrier in 1:48th scale is completly finished in the colors of the Dutch army version. Ready for action and ready for sales. To order your built model or kit contact CypModels.